The National Center for Earth and Space Science Education is proud to present the 22 Mission Patches selected for flight to the International Space Station (ISS) in Aquarius, the experiments payload for SSEP Mission 1 to ISS. 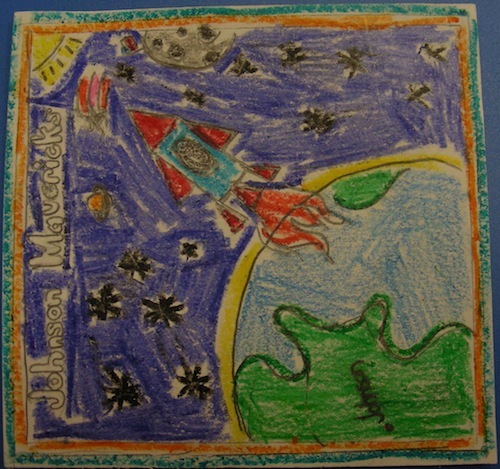 Across the 12 communities participating in Mission 1 to ISS, there were 2,299 patch designs submitted by 4,936 students. Judges within the communities selected the 22 patches shown below. 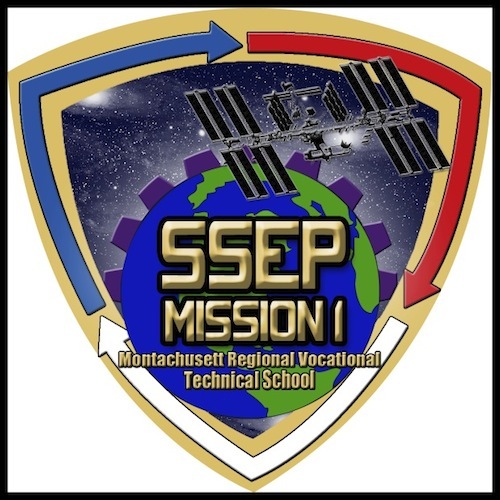 You can also read more about the Mission 1 to ISS Patch Competition at the main SSEP website. 2,500 grade K-12 students across all four schools in our community, Valentine Elementary, Carver Elementary, Huntington Middle School, and San Marino High School held an open competition for the design competition. The high and middle schools were grouped together while the elementary schools competed together. Collectively, there were over 240 entries. Voting was open to the community and to the teachers. The first patch is from a fourth grader from Valentine Elementary School. Her name is Emma Catherine Collo. 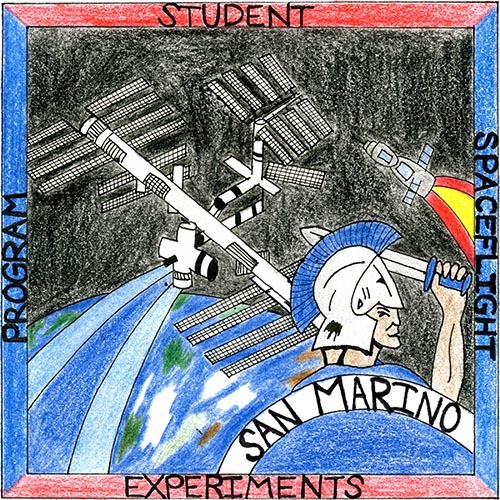 The second patch is from an 11th grader from San Marino High School. Her name is Hope Welder. 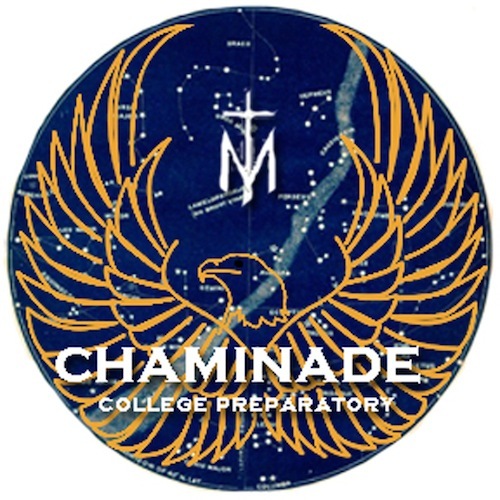 The Chaminade College Preparatory Community Team opened the Mission Patch Design Competition up to all art students on the high school campus. With the support of our graphics art teacher and the Fine Art Chairperson the opportunity was announced to their students during class. We had 14 patches designed by 40 grade 9-12 students submitted from the Art Department for final project consideration. The Science review committee had input into the selection of the final patch design. The student with the winning patch design, Chelsea Dean, has been announced along with our experiment designers to the entire school community during our daily morning announcements. A total of 1,088 pre-K through 8 students of the Capitol Hill Cluster Schools participated in the flight patch contest. 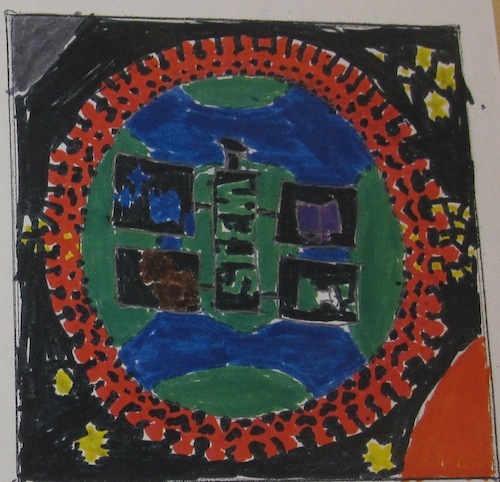 Each student worked on a patch design, resulting in 1,088 submitted patches. Students at the Peabody Early Childhood Center, Watkins Elementary and Stuart-Hobson Middle School worked on their patch designs in their grade level classes and submitted their completed patches to their art teachers. 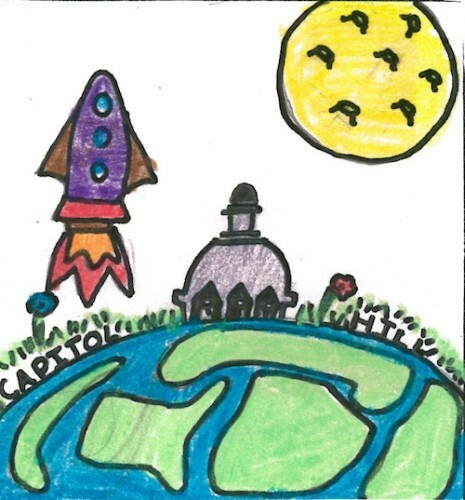 Lily Heese, a 4th grade student at Watkins Elementary, and Adam Roman, a kindergarten student at Peabody Early Childhood, designed the patches that will represent the Capitol Hill Cluster Schools. 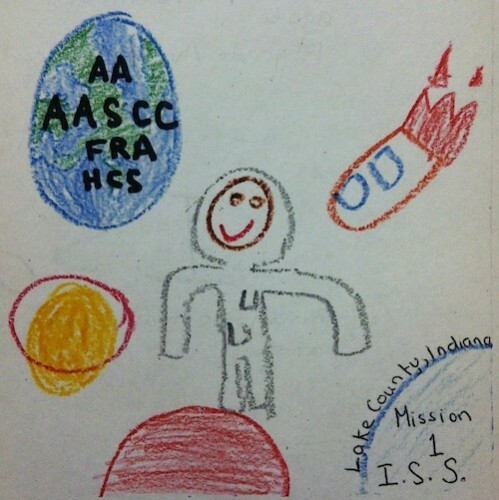 Avicenna Academy Science Community Collaboration (AASCC) had a two-mission patch design plan. Our two categories were children up to 12 years of age (junior) and older children and adults 12+ (adult). We opened up the design competition to the entire community of Northwest Indiana and we received 49 patches in our junior category and 7 patches in our adult category. The junior category winner is a design submitted by Avicenna Academy first grader, Isa Abdul-Rahman. 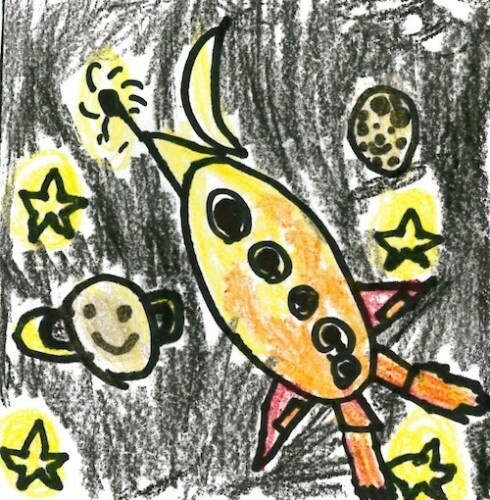 Isa is six years old and describes his patch as showing an astronaut with planets. Our adult category winner is a design submitted by Avicenna Academy seventh grader, Heba Abuzer. Heba is 13 years old and included American symbols, the International Space Station and the Space Shuttle Atlantis in her design. 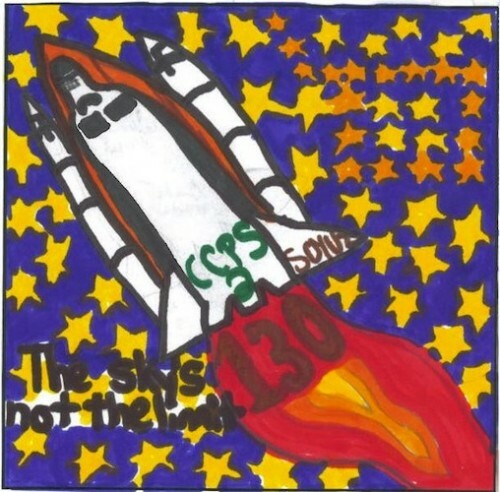 Her design incorporated both Atlantis and the ISS because AASCC participated in STS-135 and Mission 1. 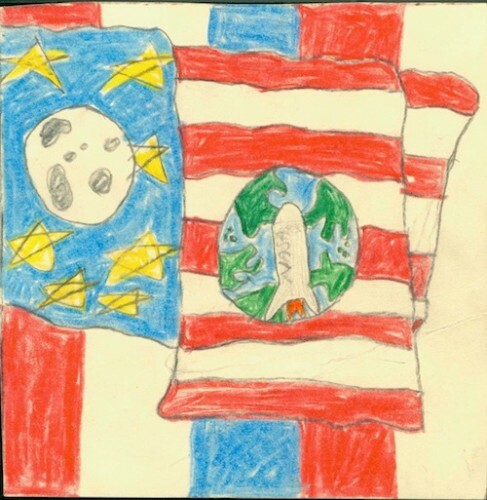 The Odebolt-Arthur-Battle Creek Ida Grove Community School district invited students in grades four through twelve to submit mission patch proposals to represent the district’s Student Spaceflight Experiment Program experiment that will fly aboard the International Space Station. A total of 243 patches were submitted for consideration by 170 grade 4-12 students. A committee of judges selected the two patches, one for elementary and one from high school, to represent the district. 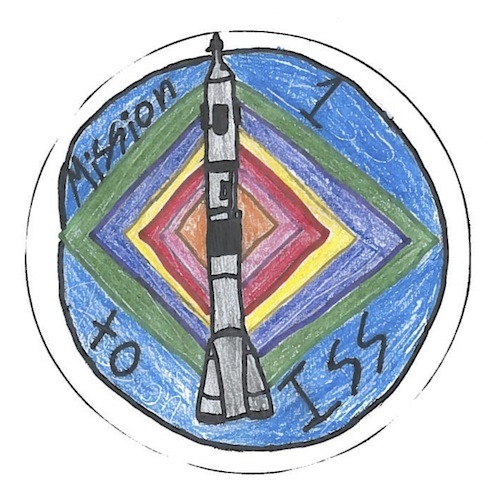 The colorful elementary patch features a Soyuz spacecraft atop a rocket with the words, “Mission 1 to ISS.” The high school patch features a Falcon, the mascot of OA-BCIG, gripping two test tubes in its talons. 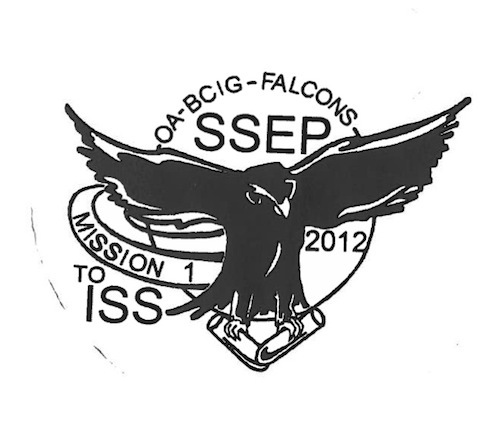 The high school patch is labeled, “OA-BCIG Falcons, Mission 1 to ISS, 2012.” Teachers and students from three of the four OA-BCIG buildings submitted patches. Charles County Public Schools afforded all students in grades K through 12 the opportunity to participate in the Mission Patch design. 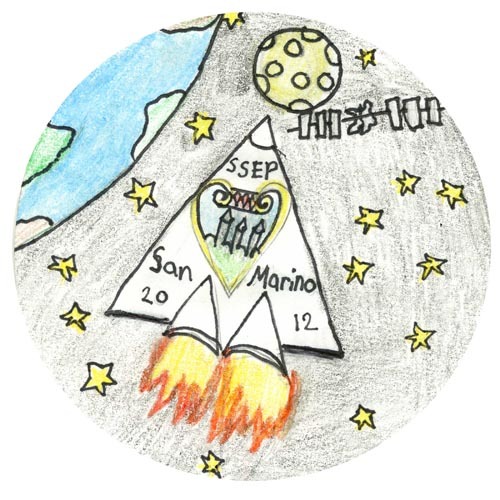 The schools held local competitions to determine the top mission patch designs to be submitted for community review. The Community review process took place over a three-week period. The 53 patches from 53 students were displayed in the lobby of the Jesse L. Starkey Administration Building where the general public could drop in and vote for their favorite elementary and secondary mission patch. 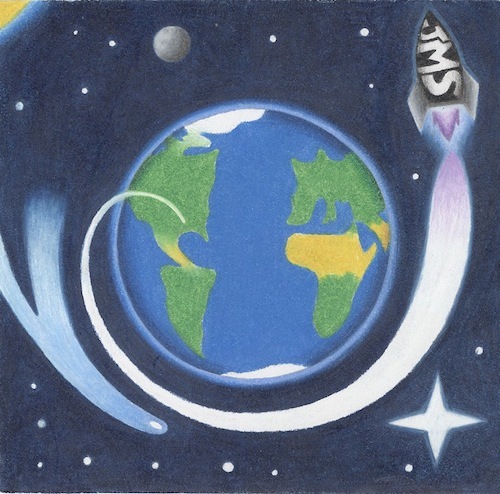 On January 30, 2012 the elementary and secondary winners of the competition were announced at the Student Spaceflight Experiments Program Symposium held at Maurice J. McDonough High School. 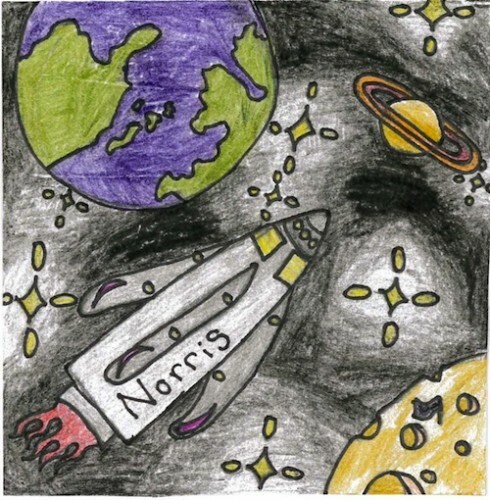 The winning elementary patch was designed by Lauren O’Neil, a fifth grader at Walter J. Mitchell Elementary School. The winning secondary patch was designed by Nathan Freeman, a senior at LaPlata High School. 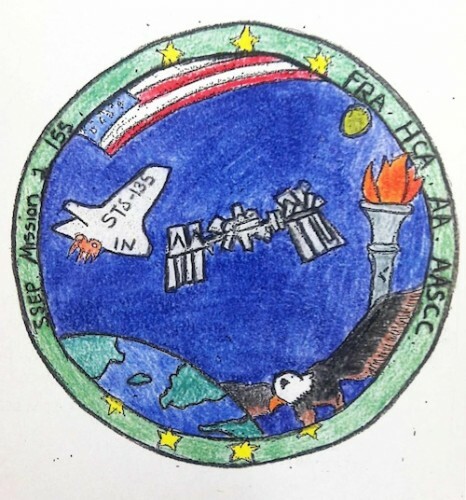 At Norris Public Schools, all 5th grade, 9th grade, and Advanced Biology students (275-300 students in total) were invited and encouraged to participate in the Mission Patch competition. The 16 submissions were judged by the winning proposal team and the Principal of Norris High School. The patch selected by this panel was drawn by fifth grade students, Zoe Nielsen, Tanner Chambers, and Cassandra Morse. 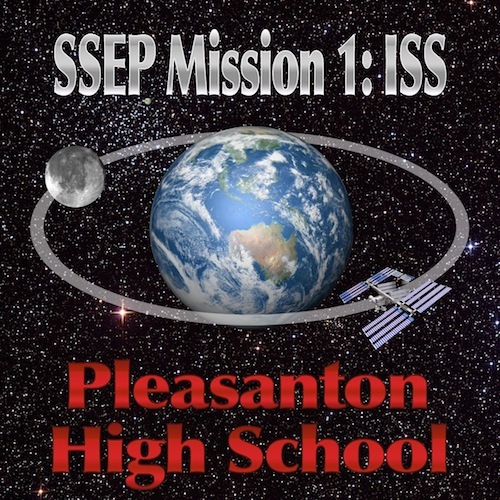 Pleasanton opened the Mission Patch Competition to all students grades K-12. 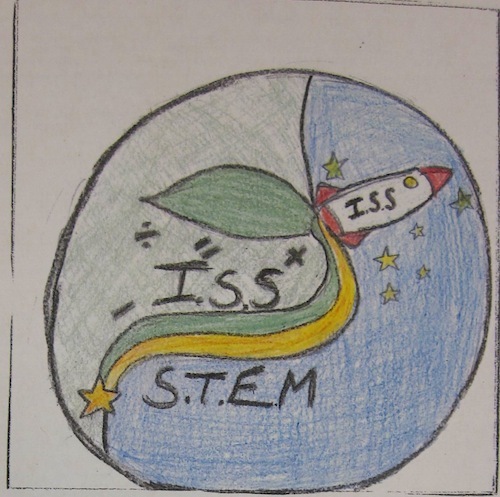 77 students submitted mission patches. 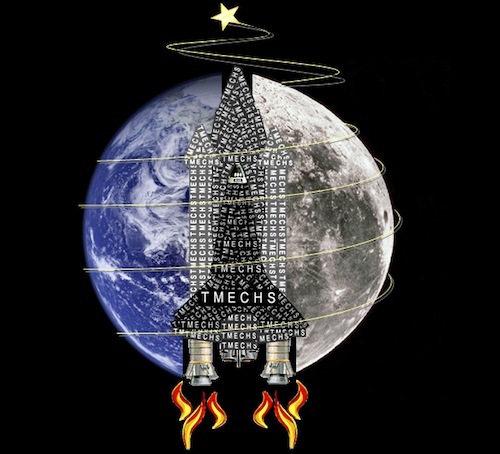 The winning patch was submitted by Senior Physics student Brady Darby. 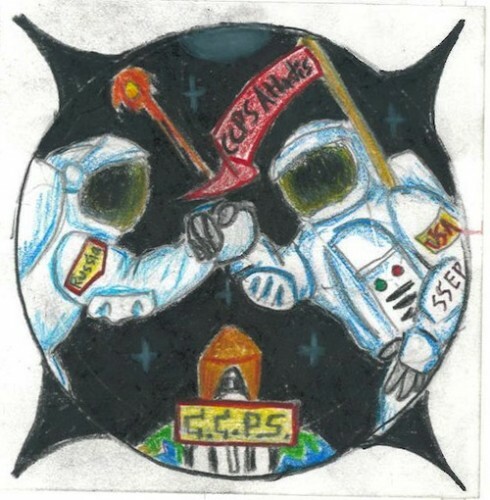 As part of the SSEP competition Cincinnati Public Schools invited students in grades 5-12 to participate in the Mission Patch design. Three creative patches emerged. 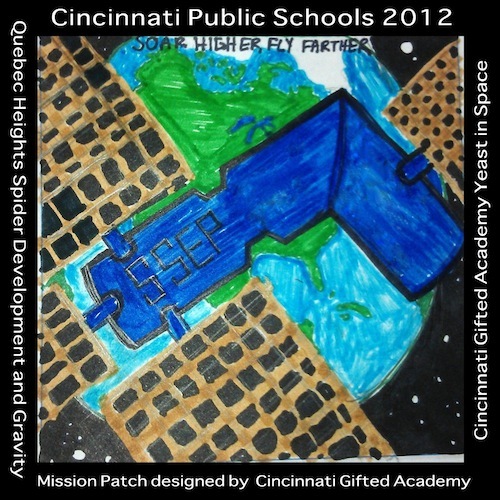 The selected patch was designed by students at Cincinnati Gifted Academy and represents the communities’ two spaceflight experiments: Spider Development and Gravity (Quebec Heights Elementary) and Yeast in Space (Cincinnati Gifted Academy). This is a proud moment for the students and teachers. Over 70 mission patches were received from our two schools, Johnston Middle and Parker Elementary, from 250 grade K-8 students. We posted posters around campuses and made numerous announcements about the contest. Over 2,000 students had the opportunity to participate. 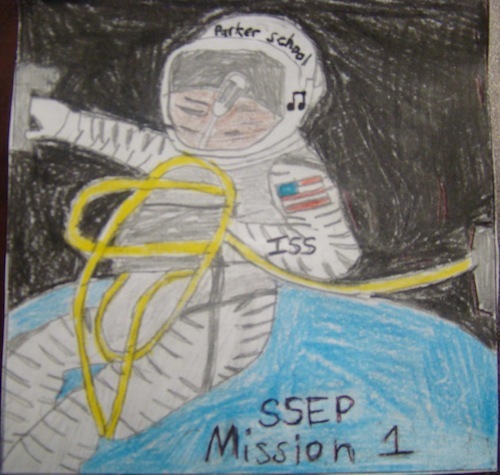 Patches were judged by the SSEP participants at Johnston Middle School; Parker Elementary School had the art teacher at Johnston Middle decide their winner.